SmackDown Live’s newest tag team led by Paige is none other than Asuka and Kairi Sane. It all went down after the former SmackDown GM began to announce the team she’d be managing, but Mandy Rose and Sonya Deville interrupted thinking it was them. Paige then informed her former proteges that they were wrong. 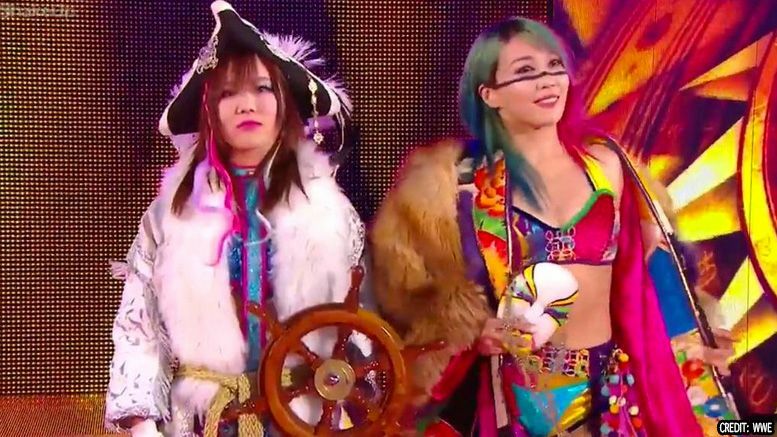 Instead, she’ll be managing former SmackDown Live Women’s Champion Asuka and NXT star Kairi Sane, who is being officially called to the main roster in the Superstar Shake-Up. As we previously reported, Bayley and Ember Moon were also drafted to SmackDown.